Reg. CF (Title III) offering provided by FundMe.com Inc.
Cryzen is an automated trading and machine learning platform. Never miss an opportunity for trading with our prebuilt strategies and the ability to quickly build your own. Cryzen launched the MVP/beta version of the platform late October. 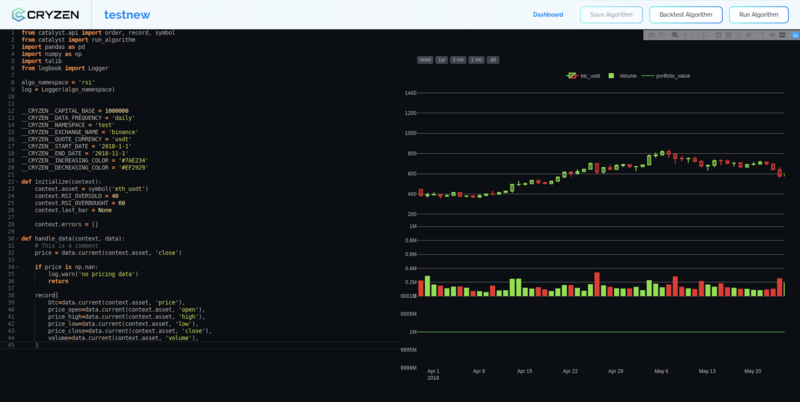 The MVP version of the platform supports trading on binance at up to 1 min intervals with access to candlestick data for the major cryptocurrencies listed on binance. Funds raised from our presale will go into the MVP release of our platform (to be launched late October) and continued development of the platform. 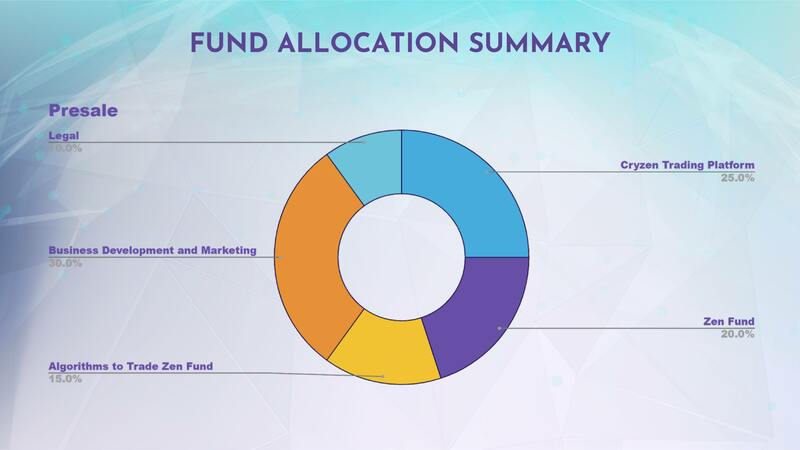 The Cryzen trading platform will be allocated 54.3% of the capital raised. This will be applied towards development efforts, including but not limited to: supporting Twitter, Reddit and google trends data on the platform, adding more exchanges, and machine learning support on the platform. 32.6% of presale funds will go towards business development and marketing. As we are a new platform, a lot of effort will need to go towards marketing, business, and community development. We will also be launching 2 competitions to spur activity: 1) machine learning competition to predict volatility and/or trade volumes of a given cryptocurrency pair over a certain period of time; and 2) backtesting competition, that lets users pit trading bots against one another to see whose trading bot generates the highest profit! The competition award will be a large sum of XEN and/or XENU token. 5.4% of capital raised will go towards getting XEN token through Regulation A+ of the U.S. Securities and Exchange Commision (SEC). This will register XEN as a security with the SEC, allowing us to conduct a full SEC complaint ICO, currently estimated to take place in mid-2019. We are currently in talks with a legal team to make this happen. A contingency plan is in place in the event that we are not able to get through Reg A+ of the SEC (detailed in the "Token Sale" section of the Cryzen Whitepaper). 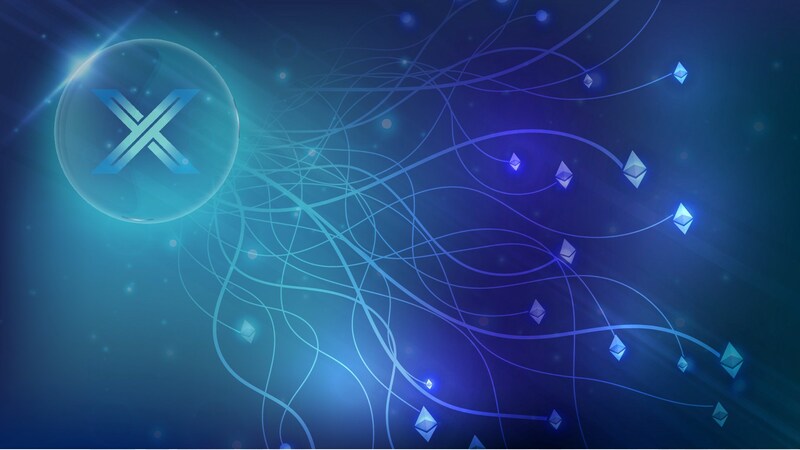 XEN token (an ERC20 token on the Ethereum blockchain) will be one of the first profit sharing tokens to be deployed and connected to a private system for the purposes of distributing profit to token holders. Anyone considering putting in more than $5K USD into the campaign, feel free to contact us at: support@cryzen.com or brian.lora@cryzen.com and we would be happy to give a personal overview of the project and take specific questions regarding the project, XEN token, or any other relevant topic. All profit data from the aforementioned sources will be made available to our users publically. 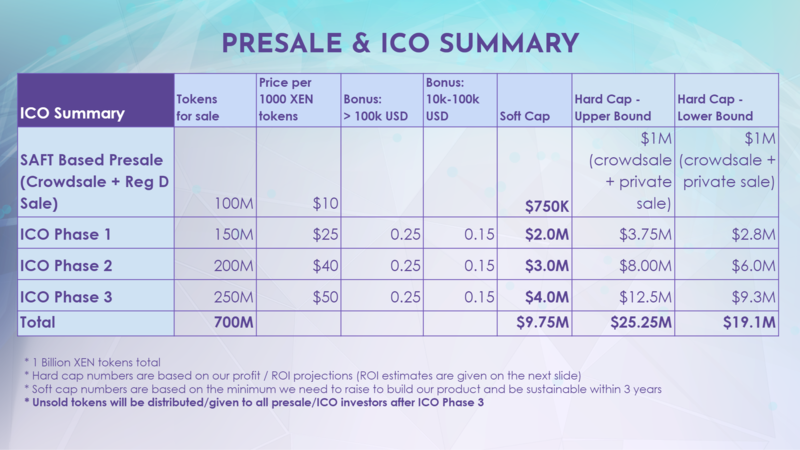 A smart contract / oracle system will then autonomously make use of this public information to distribute 40% of profit to XEN token holders on a periodic basis (profit is calculated in USD, and the equivalent is paid out in ETH). Profit is defined as net income after taxes (NIAT). The 60% of profits which stays with Cryzen LLC will be used for expansionary efforts (R&D, marketing, etc) aimed at maximizing future profits for token holders. Cryzen LLC will not pay out dividends to equity holders (as this would be a conflict of interest with XEN token holders) — the only means of distributing profits will be via the XEN smart contract system to XEN token holders. If the 60% of profits staying with Cryzen LLC accumulates (accumulated earnings) and is not completely used up by expansionary efforts (or to cover losses for a particular month or months), it may be paid out as a bonus to XEN token holders at the discretion of Cryzen LLC. 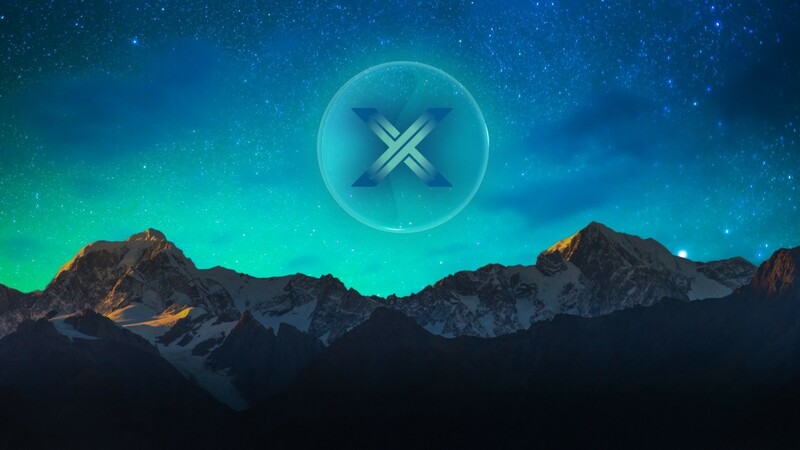 Post inception of the XEN token, Cryzen will hire a credible accounting firm to audit company financials, and provide reasonable assurance of the NIAT reported on cryzen.com/profits on a yearly basis (for the entirety of the applicable year). Participate in our campaign and join the future of decentralized profit sharing! An investment in the SAFT involves a high degree of risk. You should consider carefully the risks described below, together with all of the other information contained in Cryzen’s offering documents, whitepaper and other publicly available information and the SAFT, before making an investment decision. The following risks entail circumstances under which, our business, financial condition, results of operations and prospects could suffer. Cryzen may not successfully develop, market and launch the Minimum Viable Product and Investors may not receive Tokens. The Cryzen trading platform has not yet been fully developed by the Company and will require significant capital funding, expertise of the Company’s management and time and effort in order to develop and successfully launch the Cryzen trading platform. The Company may have to make changes to the specifications of the Cryzen trading platform or Tokens for any number of legitimate reasons or the Company may be unable to develop the Cryzen trading platform in a way that realizes those specifications or any form of a functioning network. It is possible that the Tokens and the Cryzen trading platform may not ever be released and there may never be an operational Token or that the launch of the Cryzen trading platform will not occur. The Cryzen trading platform or Tokens, if successfully developed and maintained, may not meet investor expectations at the time of purchase. Furthermore, despite good faith efforts to develop and launch the Cryzen trading platform and subsequently to develop and maintain the Cryzen trading platform, it is still possible that the Cryzen trading platform will experience malfunctions or otherwise fail to be adequately developed or maintained, which may negatively impact the Cryzen trading platform and Tokens. The Company will use the proceeds of this offering to make significant investments to develop and launch a viable Cryzen trading platform and subsequently to build a fulsome platform through which investors can realize value from the profit sharing attached to the tokens. The Company may not have or may not be able to obtain the technical skills and expertise needed to successfully develop the Cryzen trading platform and progress it to a successful launch of the Cryzen trading platform. While the Company has sought to retain and continue to competitively recruit experts, there is a general scarcity of management, technical, scientific, research and marketing personnel with appropriate training to develop and maintain the Cryzen trading platform. 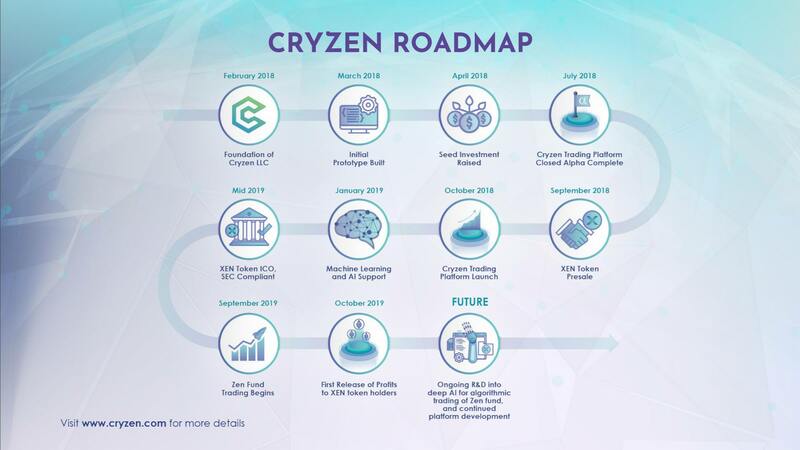 If the Company is not successful in its efforts to demonstrate to users the utility and value of the Cryzen trading platform, and likewise the revenue streams to demonstrate value to investors, there may not be sufficient demand for the platform or Tokens for the Company to proceed with the development of the Cryzen trading platform. As a result, or if the launch of the Cryzen trading platform does not occur, Investors may lose all of their investment. Investments in startups including Cryzen involve a high degree of risk. Investments in token presales including the Cryzen Pre-sale may involve an even higher degree of risk. Financial and operating risks confronting startups are significant: Cryzen is not immune to these. The startup market in which Cryzen competes is highly competitive and the percentage of companies that survive and prosper is small. Startups often experience unexpected problems in the areas of product development, marketing, financing, and general management, among others, which frequently cannot be solved. In addition, startups may require substantial amounts of financing, which may not be available through institutional private placements, the public markets or otherwise. Cryzen may be forced to cease operations or take actions that result in dissolution. It is possible that, due to any number of reasons, including, but not limited to, an unfavorable fluctuation in the value of cryptographic and fiat currencies, the inability by the Company to establish a minimum viable product or the Tokens’ revenue streams, the failure of commercial relationships, or intellectual property ownership challenges, the Company may no longer be viable to operate and the Company may dissolve or take similar actions that result in the Company ceasing its operations and winding up. The SAFTs may not be transferred. The terms of the SAFT prohibit transfer of the SAFT. As a result, Investors will be required to hold their SAFT until the earlier of the delivery of all of the Tokens, or the termination of the SAFT pursuant to the provisions set forth therein. Consequently, Investors must be prepared to bear the risk of an investment in the SAFT until the termination of the SAFT pursuant to the terms set forth therein. The tax treatment of the SAFT, the purchase rights contained therein and the Token distribution is uncertain and there may be adverse tax consequences for Investors upon certain future events. The tax characterization of the SAFT and the Tokens is uncertain, and each Investor must seek its own tax advice in connection with an investment in the SAFT. An investment pursuant to the SAFT and the purchase of Tokens pursuant thereto may result in adverse tax consequences to Investors, including withholding taxes, income taxes and tax reporting requirements. Each Investor should consult with and must rely upon the advice of its own professional tax advisors with respect to the United States and non-U.S. tax treatment of an investment in the SAFT and the purchase rights contained therein. The Cryzen trading platform may not be widely adopted and may have limited users. It is possible that the Cryzen trading platform will not be used by a large number of individuals, companies and other entities or that there will be limited public interest in the development of algorithmic trading bots for cryptocurrencies (such as the Cryzen trading platform) more generally or profit sharing tokens such as the Tokens. Such a lack of use or interest could negatively impact the development of the Cryzen trading platform and therefore the potential value of Tokens. Alternative platforms may be established that compete with or are more widely used than the Cryzen trading platform. It is possible that alternative platforms could be established that compete with the Cryzen trading platform, with the same or similar features, and attempt to facilitate algorithmic trading of cryptocurrencies in a materially similar way to the Cryzen trading platform. The Cryzen trading platform may compete with these alternative networks, which could negatively impact the Cryzen trading platform and the Tokens. The Cryzen trading platform may be the target of malicious cyber attacks or may contain exploitable flaws in its underlying code, which may result in security breaches and the loss or theft of users’ funds. If the Cryzen trading platform’s security is compromised or if the Cryzen trading platform is subjected to attacks that frustrate or thwart our users’ ability to access the Cryzen trading platform, users may cut back on or stop using the Cryzen trading platform altogether, which could seriously curtail the revenue streams attached to the Tokens and cause a decline in the market price of the Tokens. The Cryzen trading platform is still in an early development stage and is unproven, and there can be no assurances that the Cryzen trading platform and the creation, back-testing and deployment of algorithmic trading bots for cryptocurrencies will be uninterrupted or fully secure which may result in a complete loss of users’ funds or an unwillingness of users to access, adopt and utilize the Cryzen trading platform. Further, the Cryzen trading platform may also be the target of malicious attacks seeking to identify and exploit weaknesses in the software or the Cryzen trading platform which may result in the loss or theft of users’ funds. For example, if the Cryzen trading platform is subject to unknown and known security attacks, this may materially and adversely affect the Cryzen trading platform. In any such event, if the launch of the Cryzen trading platform does not occur or if the Cryzen trading platform is not widely adopted, Investors may lose all of their investment. The Tokens will be an ERC20 token, issued on the Ethereum network, and are therefore subject to associated risks. The Tokens will be issued on the Ethereum network as an ERC20 token. Any malfunction, breakdown, forking or abandonment of the Ethereum protocol may have a material adverse effect on the Tokens. Moreover, advances in cryptography, or technical advances such as the development of quantum computing, could present fundamental risks to the value of such protocols. The regulatory regime governing the blockchain technologies, cryptocurrencies, tokens and token offerings such as the Tokens is uncertain, and new regulations or policies may materially adversely affect the development of the Cryzen trading platform and the value of the Tokens. Regulation of tokens (including the Tokens) and token offerings such as this, cryptocurrencies, blockchain technologies, and cryptocurrency exchanges currently is undeveloped and likely to rapidly evolve, varies significantly among international, federal, state and local jurisdictions and is subject to significant uncertainty. Various legislative and executive bodies in the United States and in other countries may in the future, adopt laws, regulations, guidance, or other actions, which may severely impact the development and growth of the Cryzen trading platform and the value of the Tokens. Failure by the Company or certain users of the Cryzen trading platform to comply with any laws, rules and regulations, some of which may not exist yet or are subject to interpretation and may be subject to change, could result in a variety of adverse consequences, including civil penalties and fines. As blockchain networks and blockchain assets have grown in popularity and in market size, federal and state agencies have begun to take interest in, and in some cases regulate, their use and operation. In the case of virtual currencies, state regulators like the New York Department of Financial Services have created new regulatory frameworks. Others, as in Texas, have published guidance on how their existing regulatory regimes apply to virtual currencies. Some states, like New Hampshire, North Carolina, and Washington, have amended their state's statutes to include virtual currencies into existing licensing regimes. Treatment of virtual currencies continues to evolve under federal law as well. The Department of the Treasury, the Securities Exchange Commission, and the Commodity Futures Trading Commission, for example, have published guidance on the treatment of virtual currencies. Both federal and state agencies have instituted enforcement actions against those violating their interpretation of existing laws. The regulation of non-currency use of blockchain assets is also uncertain. The CFTC has publicly taken the position that certain blockchain assets are commodities, and the SEC has issued a public report stating federal securities laws require treating some blockchain assets as securities. To the extent that a domestic government or quasi-governmental agency exerts regulatory authority over a blockchain network or asset, the Cryzen trading platform and the Tokens may be materially and adversely affected. Blockchain networks also face an uncertain regulatory landscape in many foreign jurisdictions such as the European Union, China and Russia. Various foreign jurisdictions may, in the near future, adopt laws, regulations or directives that affect the Cryzen trading platform or the Tokens. Such laws, regulations or directives may conflict with those of the United States or may directly and negatively impact our business. The effect of any future regulatory change is impossible to predict, but such change could be substantial and materially adverse to the development and growth of the Cryzen trading platform and the value of the Tokens. New or changing laws and regulations or interpretations of existing laws and regulations, in the United States and other jurisdictions, may materially and adversely impact the value of the currency in which the Tokens may be exchanged, the value of the distributions that may be made to Token holders, the liquidity of the Tokens, the ability to access marketplaces or exchanges on which to trade the Tokens, and the structure, rights and transferability of Tokens. There is a risk that the offer of the Tokens may not be approved under Regulation A+ in the United States or that the offer of the Tokens may be prohibited under other applicable securities law. If the Tokens are not approved under Regulation A+, the tokens may never enter a transferable state, meaning that investors will be unable to sell their Tokens. Cryzen or any related entity may cease operations in a jurisdiction in the event that regulatory actions, or changes to law or regulation, make it illegal to operate in such jurisdiction and/or offer the Tokens or make it commercially undesirable to obtain the necessary regulatory approval(s) to operate in such jurisdictions. The Investors will have no control over the Company. The Investors are not and will not be entitled, to vote or be deemed the holder of capital stock of the Company for any purpose, nor will anything be construed to confer on the Investors any of the rights of a stockholder of the Company or any right to vote for the election of directors or upon any matter submitted to stockholders at any meeting thereof, or to give or withhold consent to any corporate action or to receive notice of meetings, or to receive subscription rights or otherwise. There may be occasions when certain individuals involved in the development and launch of the Cryzen trading platform may encounter potential conflicts of interest in connection with the launch of the Cryzen trading platform, such that said party may avoid a loss, or even realize a gain, when other Investors in the Presale or in Cryzen are suffering losses. There may be occasions when certain individuals involved in the development and launch of the Cryzen trading platform or the Tokens may encounter potential conflicts of interest in connection with this offering and the launch of the Cryzen trading platform, such that said party may avoid a loss, or even realize a gain, when other Investors in the are suffering losses. Investors in SAFTs may also have conflicting investment, tax, and other interests with respect to SAFT investments, which may arise from the terms of the SAFT, the Cryzen trading platform, the timing of the launch of the Cryzen trading platform or the Tokens or other token pre-sales, or other factors. Decisions made by the key employees of Cryzen on such matters may be more beneficial for some Investors than for others. Investors may lack information for monitoring their investment. The Investors may not be able to obtain all information they would want regarding Cryzen, the Tokens or the Cryzen trading platform, on a timely basis or at all. It is possible that the Investors may not be aware on a timely basis of material adverse changes that have occurred with respect to certain of their investments. Cryzen and the tokens have no history. Cryzen is a newly formed company and has very limited operating history. The Tokens will be newly formed tokens and have no history. Each SAFT should be evaluated on the basis that Cryzen or any third party’s assessment of the prospects of the Cryzen trading platform and the Tokens may not prove accurate, and that Cryzen will not achieve its investment objective. Past performance of Cryzen, or any similar token or SAFT, is not predictive of future results. If the Cryzen trading platform is unable to satisfy data protection, security, privacy, and other government and industry-specific requirements, its growth could be harmed. There are a number of data protection, security, privacy and other government- and industry-specific requirements, including those that require companies to notify individuals of data security incidents involving certain types of personal data. Security compromises could harm the Cryzen trading platform’s reputation, erode user confidence in the effectiveness of its security measures, negatively impact its ability to attract new users, or cause existing users to stop using the Cryzen trading platform. The further development and acceptance of blockchain networks and related technologies and platforms, including the Cryzen trading platform, which are part of a new and rapidly changing industry, are subject to a variety of factors that are difficult to evaluate. The slowing or stopping of the development or acceptance of blockchain networks and blockchain assets would have a material adverse effect on the successful development and adoption of the Cryzen trading platform and the value of the Tokens. A decline in the popularity or acceptance of Bitcoin or other blockchain-based tokens would adversely affect our results of operations. The slowing or stopping of the development, general acceptance and adoption and usage of blockchain networks and blockchain assets may deter or delay the acceptance and adoption of the Cryzen trading platform and the Tokens. The prices of blockchain assets are extremely volatile. Fluctuations in the price of digital assets could materially and adversely affect our business, and the Tokens may also be subject to significant price volatility. The prices of blockchain assets such as Bitcoin have historically been subject to dramatic fluctuations and are highly volatile, and the market price of the Tokens may also be highly volatile. Expectations among Token or other blockchain assets participants that the value of the Tokens or other blockchain assets will soon change. A decrease in the price of a single blockchain asset may cause volatility in the entire blockchain asset industry and may affect other blockchain assets including the Tokens. For example, a security breach that affects investor or user confidence in Bitcoin may affect the industry as a whole and may also cause the price of the Tokens and other blockchain assets to fluctuate. We received 250K seed funding in April 2018. Since then we have built: 1) our entire data collection system (collecting data orders of magnitude faster than the competition at 1 sec intervals compared to 1 minute intervals, and at the orderbook level which no other platform has); 2) the online algorithm development environment; 3) the ability to simulate trading algorithms on past data; and 4) the ability to run those algorithms live on binance (more exchanges to be supported soon). Imagine what we could do with our presale softcap target! Shuvro has a background in applied and theoretical machine learning and artificial intelligence. In the past, he has worked on natural language processing systems to automate data classification processes in procurement for Spend360 and Coupa leading to a successful exit. Shuvro is currently leading business development efforts, architecting the Cryzen platform, designing the Cryzen machine learning platform, and spearheading the long-term AI first approach of Cryzen. Robin has recently completed his Ph.D. in Mathematics on gauge theory and differential geometry. 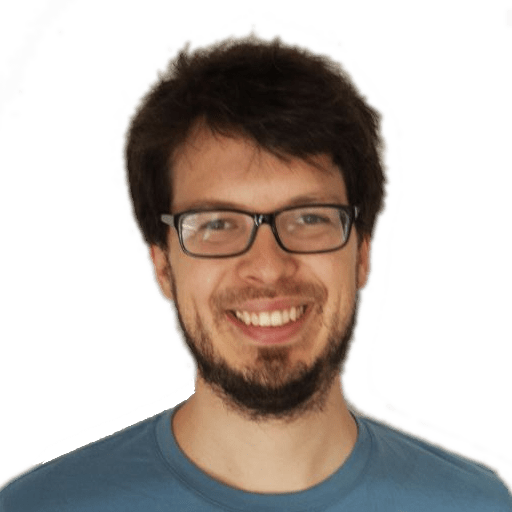 Since his youth, he has been keen to pick up many programming languages, including functional programming languages, and has even spearheaded the NixOS open source mail server. Robin is currently leading development of the core trading platform to power all trading algorithms on Cryzen, as well as architecting the Cryzen platform overall. On his spare time, Robin is an avid Go player. 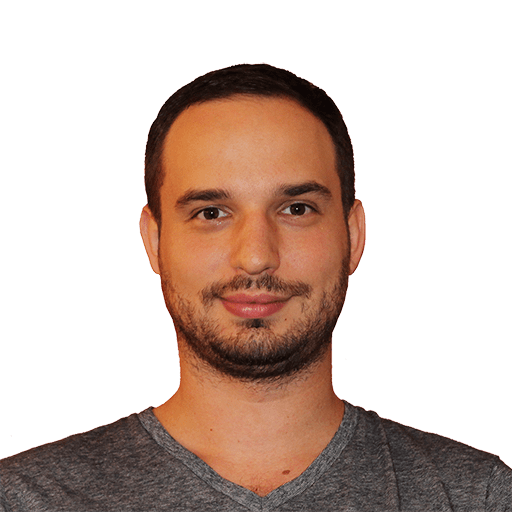 In 2017, Kirill obtained a Ph.D. in Physics from the University of Padova based on his research on possible extensions of the standard model of particle physics and physics of the Higgs boson. Since then, he has been sharpening his skills in data science that later were applied to cryptocurrency trading and portfolio optimization. Kirill is now leading the Cryzen quant team and architecting the platform + data collection systems powering Cryzen. Gareth has extensive experience as a corporate lawyer, through his time working at some of the world’s top law firms, as well as having founded and advised multiple startups. Gareth is an avid investor in blockchain projects and a firm believer in the potential for DLT. 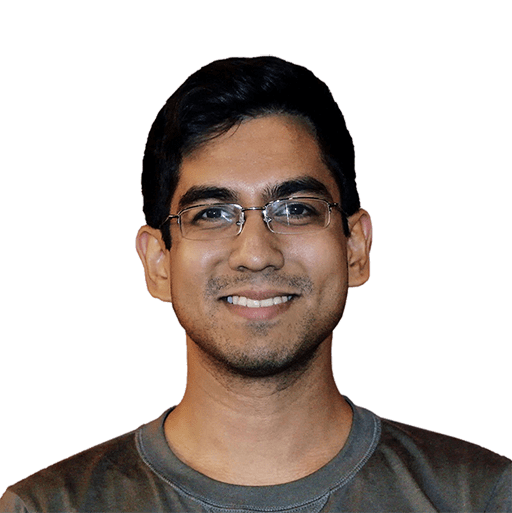 A product manager and data scientist, Greg builds and backs projects that amplify available intelligence, including the AI workflow platform builder Machine Colony, where he was a co-founder, the AI community NYAI, which he advises and the big data global health Gates-backed research institute IHME, where he modeled health systems. He is currently developing a stealth-stage AI agent simulation platform.